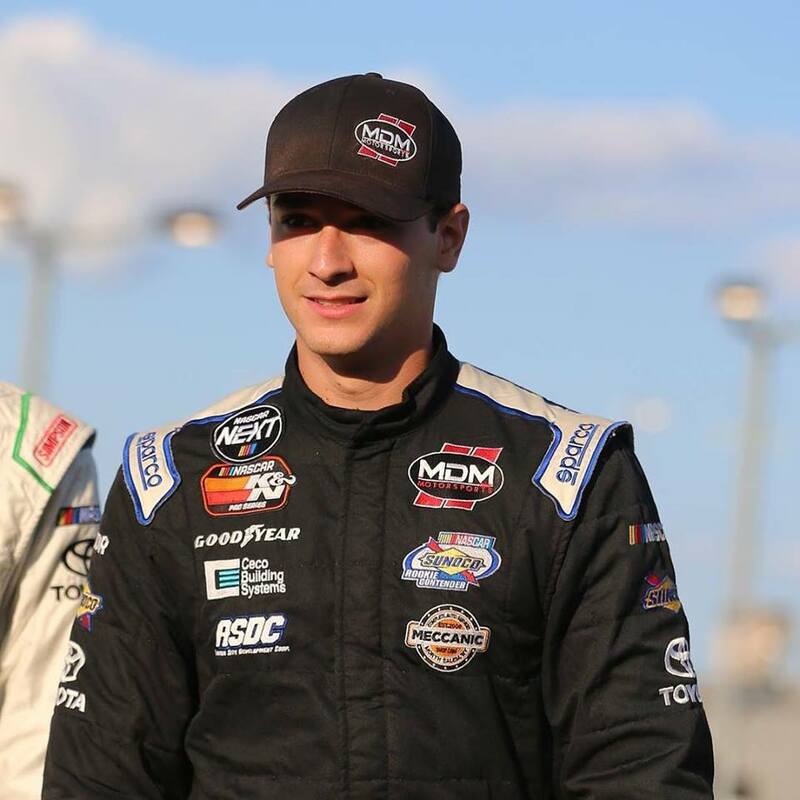 KANSAS CITY, Kan., October 10, 2018	(Newswire.com) – Anthony Alfredo will climb into his MDM Motorsports Toyota for the 2018 ARCA Racing Series season finale, the Kansas ARCA 150 at Kansas Speedway on Friday, October 19. Alfredo will be behind the wheel of the Ceco Building Systems, Oxford Energy, Mechanic Shop MDM Motorsports Toyota No. 40 for the race, which will be his second start in the ARCA Series and his first on a 1.5-mile superspeedway. A student at UNC-Charlotte, the easygoing Alfredo is anxious to hit the track following a season in NASCAR’s K&N Pro Series East in which he finished fifth in the championship standings and won at South Boston Speedway earlier in the year. The Kansas ARCA 150 at Kansas Speedway is scheduled for a 7:30 p.m. CST start time on Friday, October 19. The race will be televised live on Fox Sports 2. 2017 CARS Tour Finished 2nd in points standing (2 wins, 8 top 5’s and 11 top 10’s) racing for Dale Earnhardt Jr., JR Motorsports. Anthony Alfredo and AFA Motorsports have recently partnered with JDRF to help them get the word out about Type 1 Diabetes. T1D is a completely different disease than Type 2 Diabetes and is often misunderstood. Anthony will be using his racing program to help educate the public about T1D and help raise funding for research.